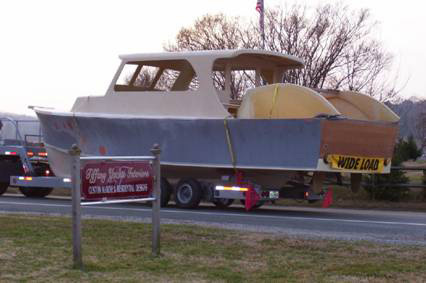 The Tiffany 38 was built in 1969 and was a wooden plank boat. 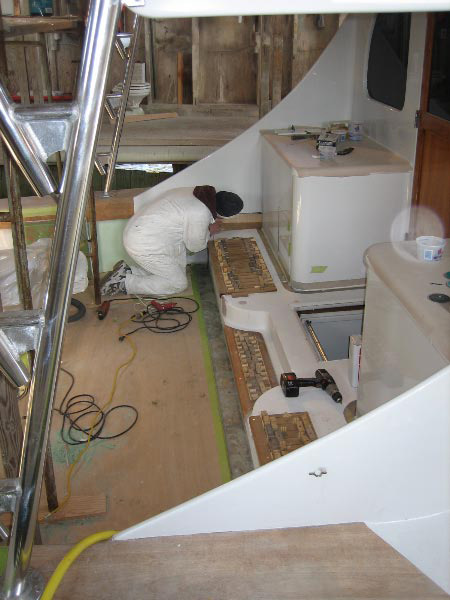 The owner had previously stripped down the cabin and hull to build a new cabin top and fiberglass the hull. 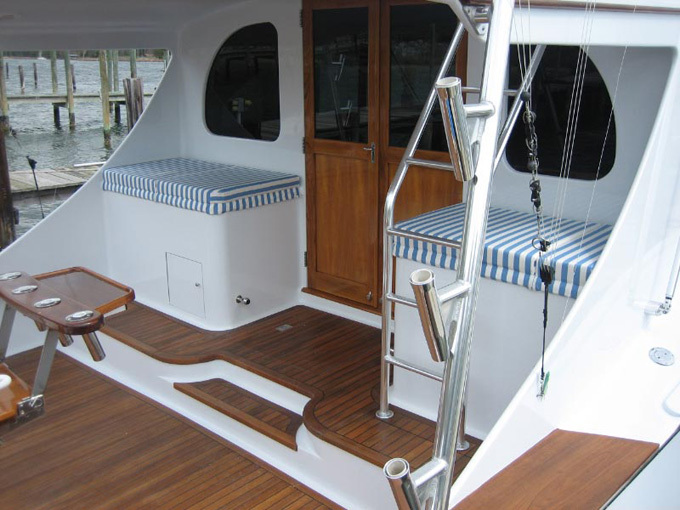 Tiffany Yachts has painted the hull and topside, installed a teak cockpit and decks, built all the wood trim for the exterior and interior, installed a pop-up control station on the bridge as well as all the electronics, installed and hooked up all the systems for the boat including the engines and generator, and finished the interior. 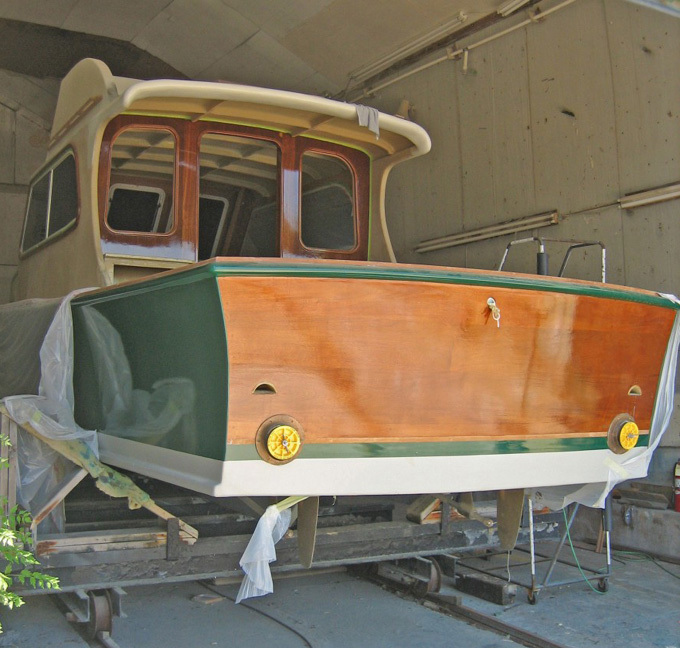 We enjoy giving new life to classic boats like the Tiffany 38. 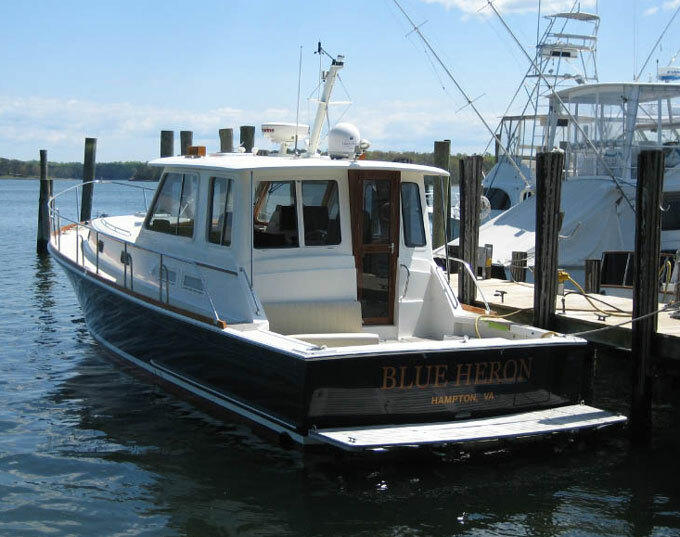 This boat is now for sale on our brokerage page. 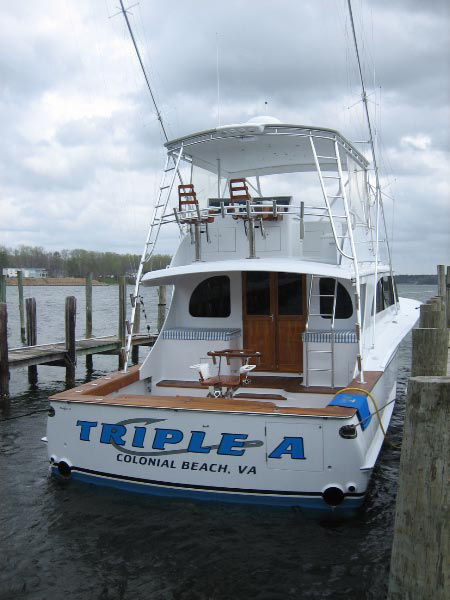 The owner of the Triple A decided to update his Blackwell by adding a mezzanine in the cockpit. Tiffany Yachts drew the finished product in 3-dimensions on the computer and cut out a Styrofoam mold on the CNC router. 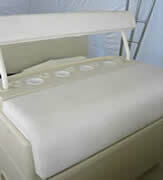 The mold was prepped using gelcoat over polyester resin to create a lightweight, yet strong, structure. 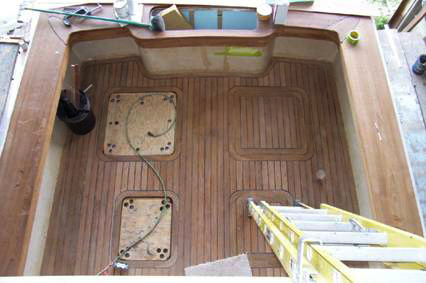 After the mezzanine was removed from the mold the teak decking was fitted. 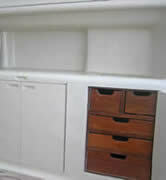 The mezzanine was then installed on the boat and tabbed into place. 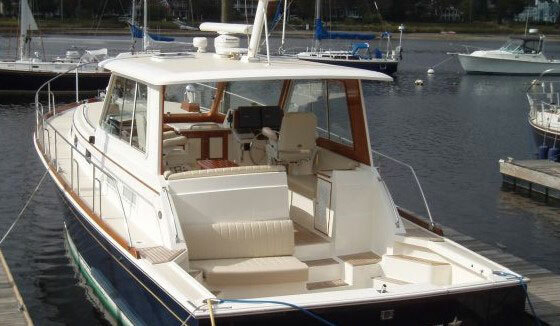 This Grand Banks Eastbay 43 built in 2002 was open between the cockpit and the helm area. 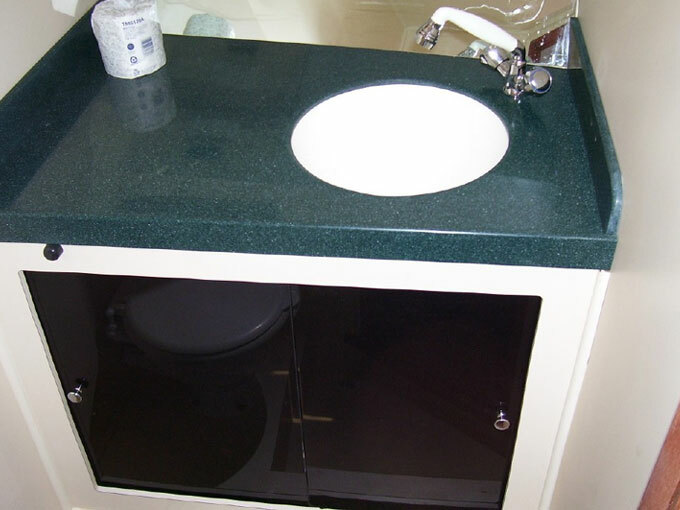 The owners wish to create a more substantial enclosure for the helm. 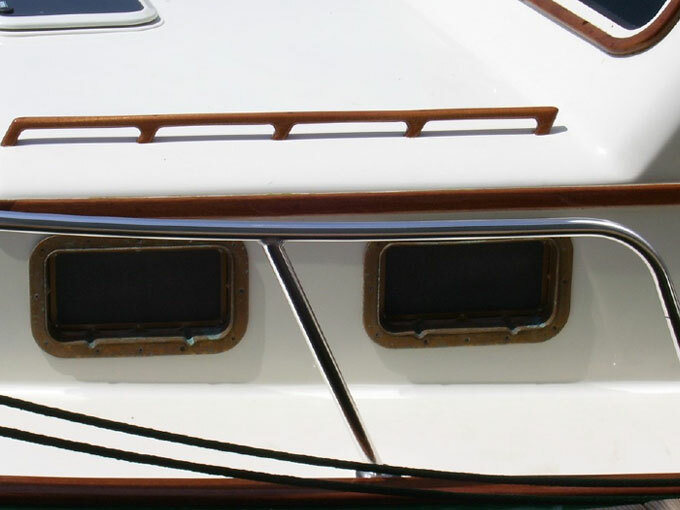 Tiffany Yachts added windows and a door using fiberglass molded panels and teak trim. 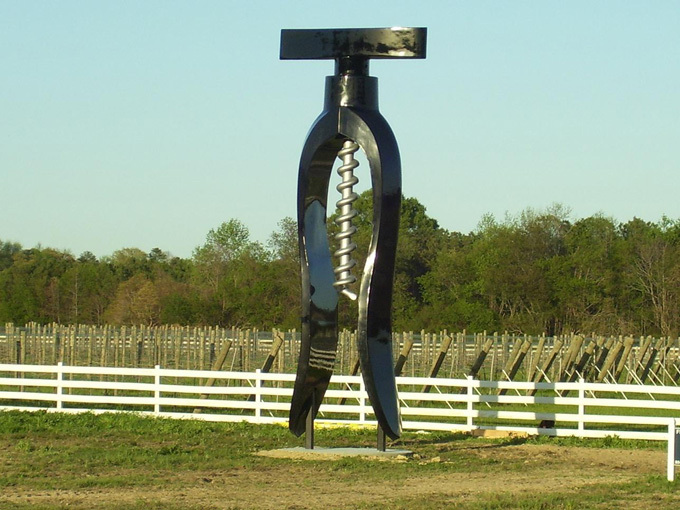 Tiffany Yachts was given the unusual task of making a pair of 25 foot tall Corkscrews to mark the entrance to White Fences Vineyard in Irvington, VA. Each section was laid up in a mold cut on the CNC router. 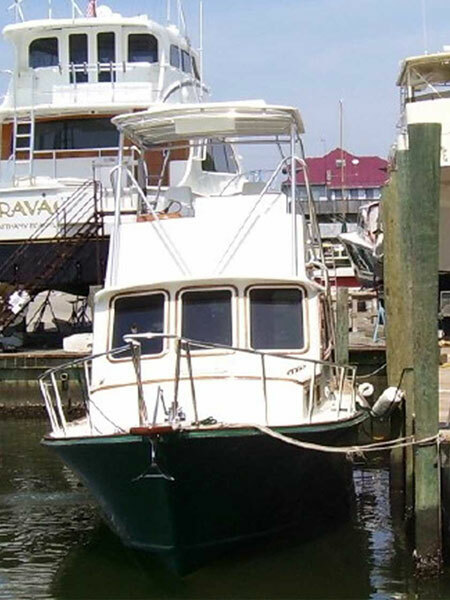 Wish is a 36 foot Express built by Tiffany Yachts in 1984. In 2007 a major overhaul was completed that involved replacing the engines, renovating the interior, helm area and cockpit. 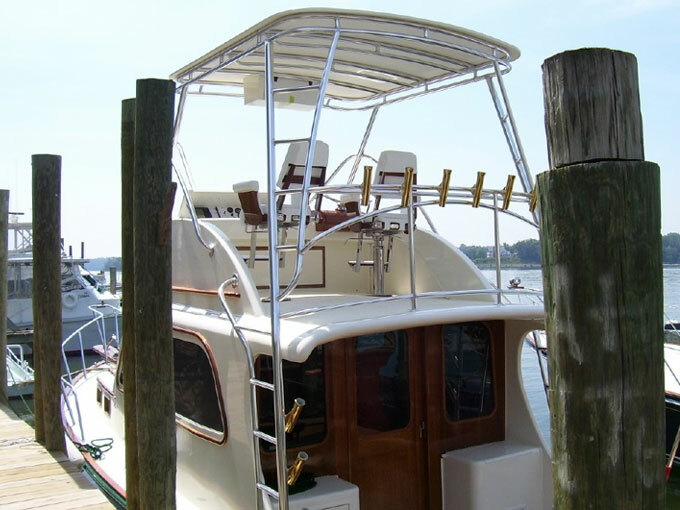 A new hardtop was installed as well as a new teak cockpit. 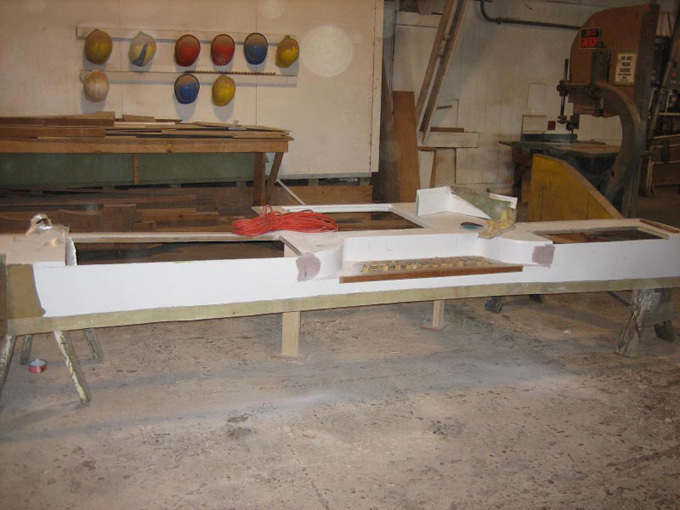 A layer of Corecell was applied to the hull, glassed and faired with West System Epoxy, and painted Awlgrip Black. The renovation on the interior involved redesign of the layout making the space more open. 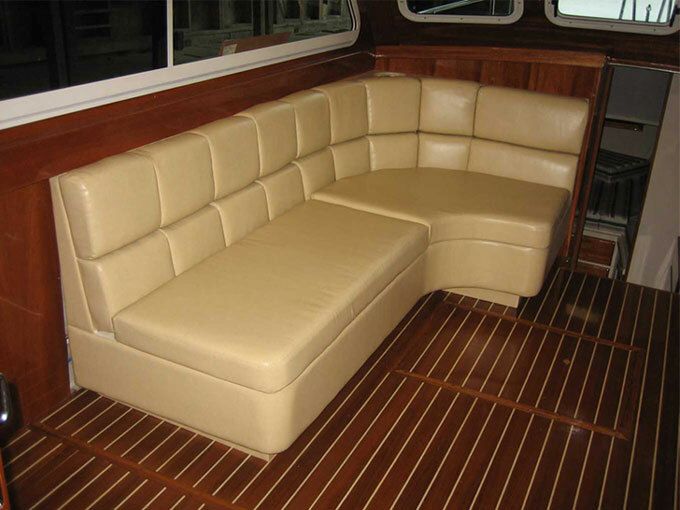 A custom settee was built and the galley location was changed, providing more countertop space and storage. 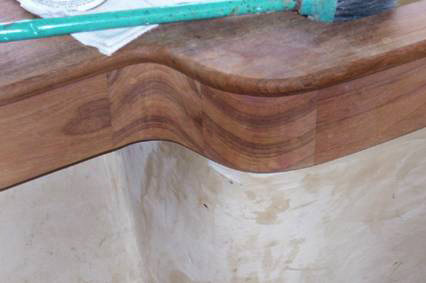 New teak countertops were built for the galley and head, as well as a custom teak sink for the head. The original Detriots were removed and replaced with Twin Yanmars, this makes the engine room extremely spacious and the engines easy to access for maintenance. The helm area was redesigned and features hydraulically lifted electronics and a teak pod for the steering wheel and single lever controls. 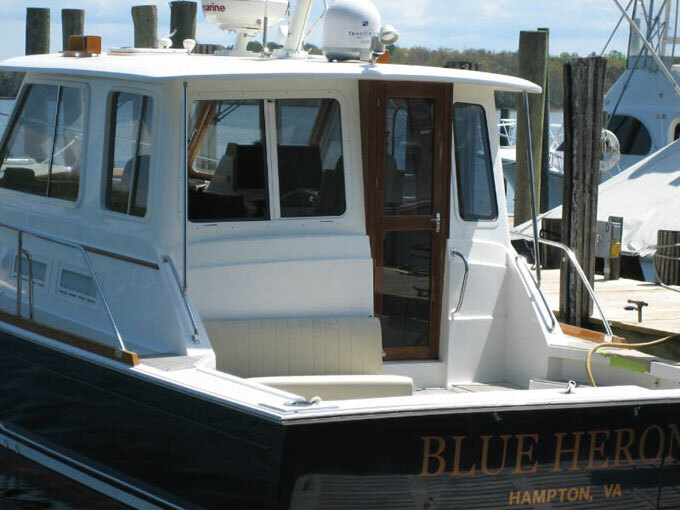 This boat is for sale on our brokerage page.